The Ft. Walton Beach store is located at the Uptown Station shopping center. We offer 6 self-serve machines with 12 flavors to choose from, plus an array of toppings. We offer the Bip-Stir, which is a milkshake type blend of the yogurt and toppings of your choice, Hot Cocoa and Bippy’s famous Liege Waffles! Monday’s are 10% off for seniors. Tuesday’s are 2 stamps for the price of 1. (Two Stamp Tuesdays). LOVE THIS PLACE!!!! 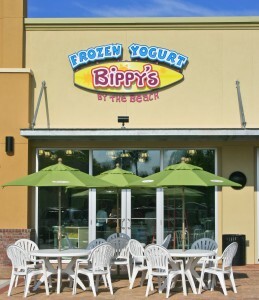 Staff is great and Bippy’s is a great addition to our city!!! Never eating baskin robbins or dairy queen again!! !